‘Tis the season for full stomachs and even fuller fridges! 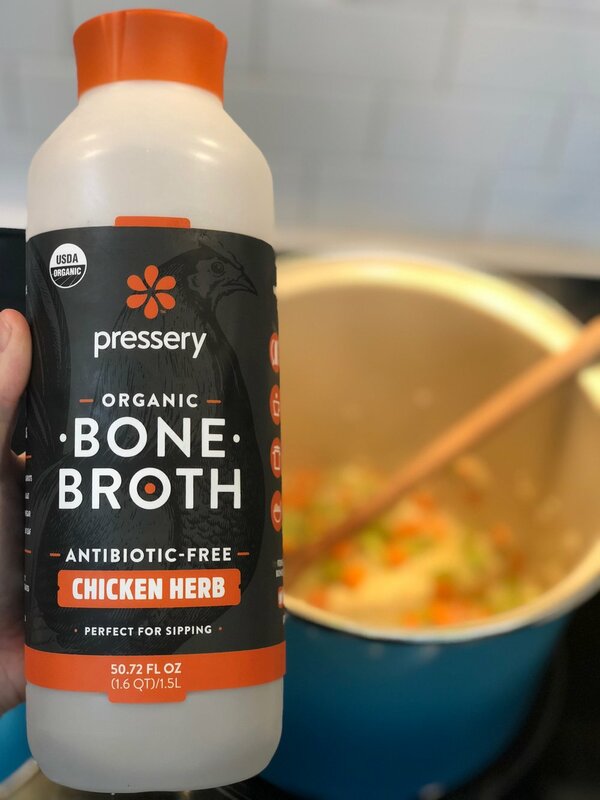 Clear out some of those lurking leftovers with this superbly simple one pot Turkey Noodle Soup, made with nourishing bone broth for a cozy post-Thanksgiving staple to keep you warm when the weather outside is frightful. Combine the carrots, onion, celery and butter in a large pot over medium heat. Cook for 2-3 minutes, until onions are soft. Add chicken broth & bring to a boil. Cook for 10-15 minutes. Add the noodles, turkey, thyme, salt, & pepper and return to a boil. Cook for an additional 7-8 minutes until the noodles are cooked. Add more salt and pepper to taste (if desired).